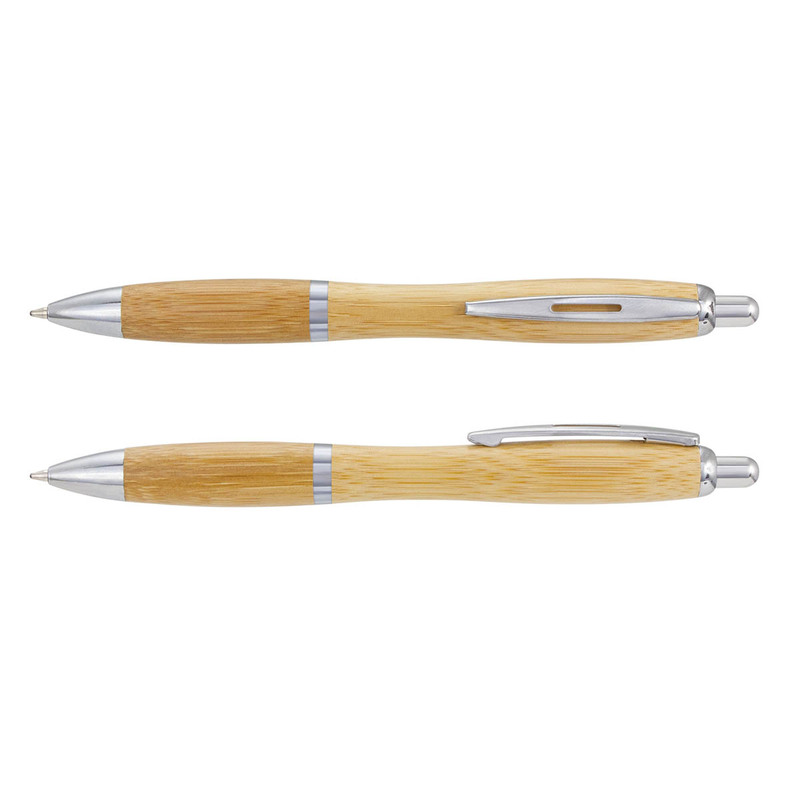 Our most popular pen style now in bamboo! The same style as our most popular pen now in eco friendly bamboo! 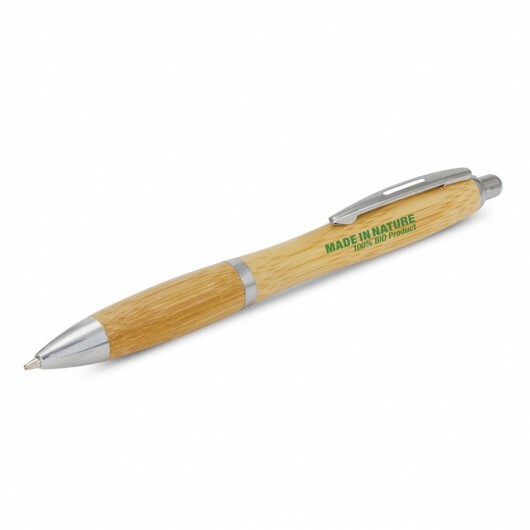 These pens are retractable and have a stylish contoured barrel and grip with shiny chrome accents and a black ink refill of 500m. Engraves to a natural etch and can be supplied with a black gift box or velvet sleeve for an additional cost. Please note wood is a natural material and can produces unavoidable variances.